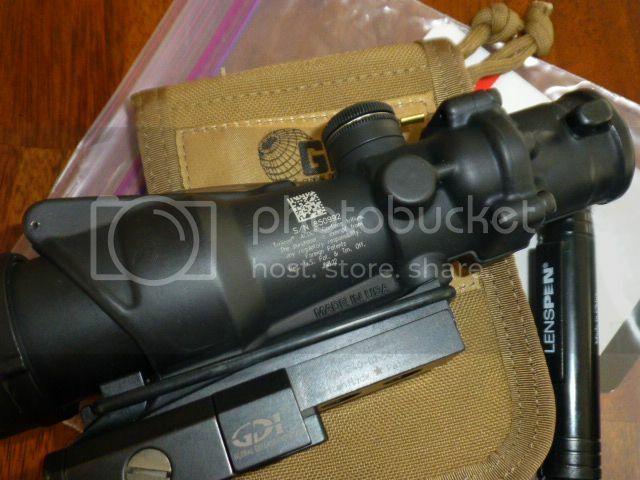 Like new ACOG TA-31A with GDI mount. Never been to the range. Manufactured 2014. 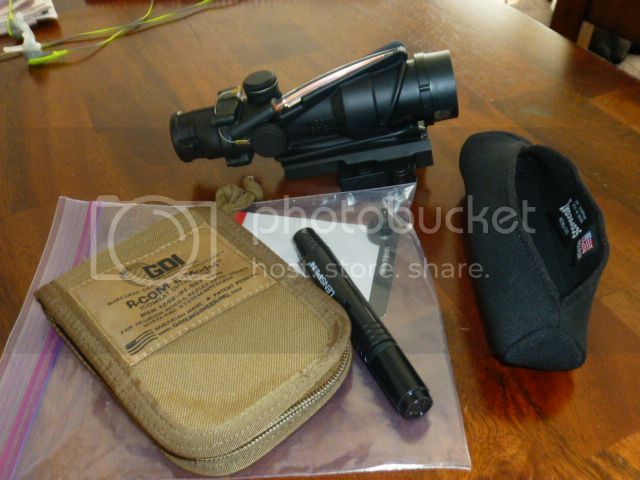 Comes with new Tenebraex ARD filter, ScopeGoat, lens pen, and TA30 mount. Sorry, I do not have the box. Scope was for sale a few weeks back, but buyer flaked after giving multiple weeks with come up with $$$ (again my better judgement… and it bit me in the rear). PLEASE, do not inquire unless you have the $$$ and plan on following through. I accept USPS Money Order or discreet Paypal. Awesome package. If I didn't already have three other beat to bell ACOGs (which function superbly), I would not sell. $875 SHIPPED. 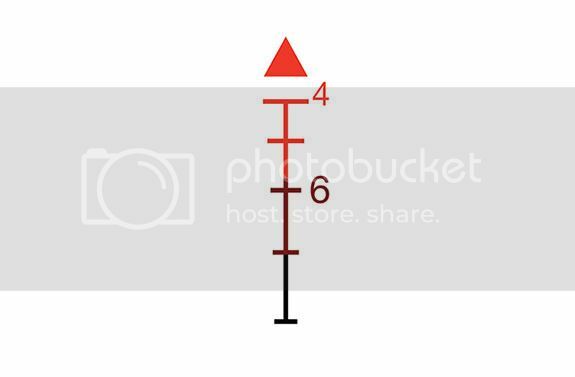 Killer price, especially taking into consideration the GDI mount and Tenebraex ARD. 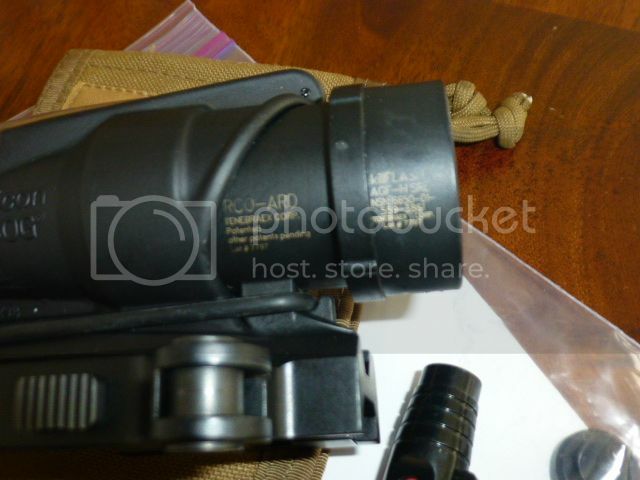 Price if FIRM… I may consider a mil-spec Aimpoint as partial trade, or add cash to trade into an AUG rifle. Message replied. This is a TA-31A. 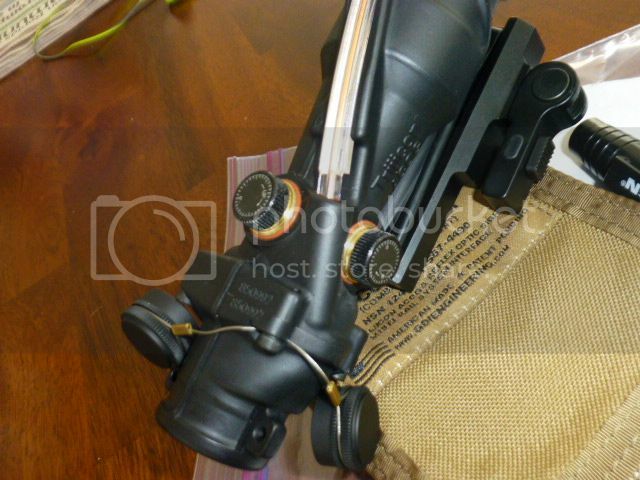 This is not a military issued scope, Uncle Same never fielded the TA-31A as far as I know.